There is a wide range of arson offences within the scope of Criminal Damage Act 1971. It explains that arson is to start a fire with malicious intent to cause damage. This damage is not limited to others but can include the defendants own property. Arson is a serious criminal offence which can have lifelong consequences depending on the degree of damage done. The punishment for arson can be very serious and length of sentencing is dependent on the nature of the crime. If the defendant is found to have the intention of causing harm then they will receive a longer sentence than someone who recklessly caused arson. Typically, the more damage caused by the arson fire equates to the seriousness of the sentencing. If the arson causes simple criminal damage, as found in Section 1(1) of the Act, meaning damage to property, the defendant’s sentence will be significantly less than aggravated criminal damage, as found in Section 1(2) of the Act, meaning damage to property and people. In order to prove a criminal offence, the prosecution must prove that there is both a guilty act and a guilty mind without a lawful excuse. Lawful excuse must be justified by an honest belief to be acting in response to an immediate need of protection. 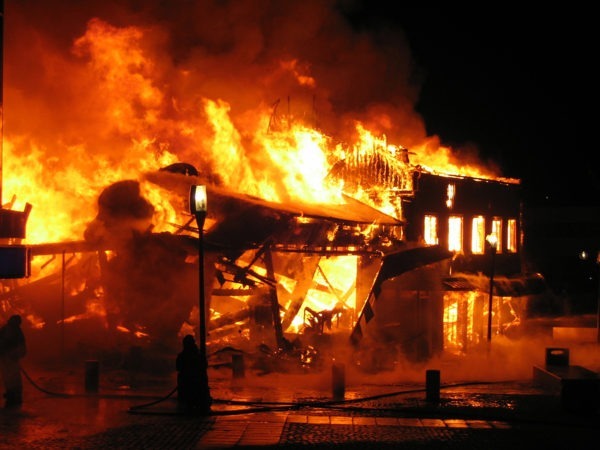 At Bloomsbury Law, we appreciate that the law surrounding arson can be confusing and complex. If you have been involved in arson, it is crucial to seek legal advice. We will listen to your circumstances and provide you with answers to any enquiries you may have once we are instructed.